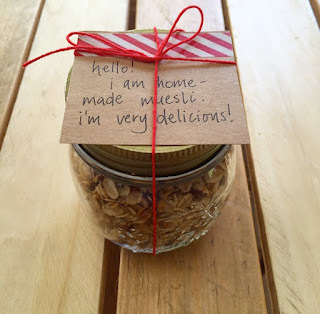 I love reading about the dedicated, inspiring people living 'zero waste' lifestyles, packing their whole family's annual rubbish into a small glass jar. I lap up their tips and tricks, and I'm introducing more conscious choices into my own life all the time - particularly as we're now in Plastic Free July. But I also see what I believe so many others do when they look at those little jars: sacrifices. I needed to reassure myself, before I could anyone else, that there is no way these zero-waste-plastic-free warriors got to this point overnight! It takes preparation, which is a heavy word I like to think of instead as "a series of small shifts". I was inspired this week when a bunch of my colleagues said to me, "It's just knowledge - knowing what to do and how to make changes." As I continue my sustainable style journey I keep making little changes, most of which are cheap, simple and rather good looking. Here are some of my tips to making small shifts at home. Instead of buying multiple things with one use, I try to look for things with more than one purpose - including during its 'after life'. Nocturna candle in a metal casing - perfect for reuse. My retractable kabuki makeup brush can be used for powder, bronzer and blush, and it travels perfectly. 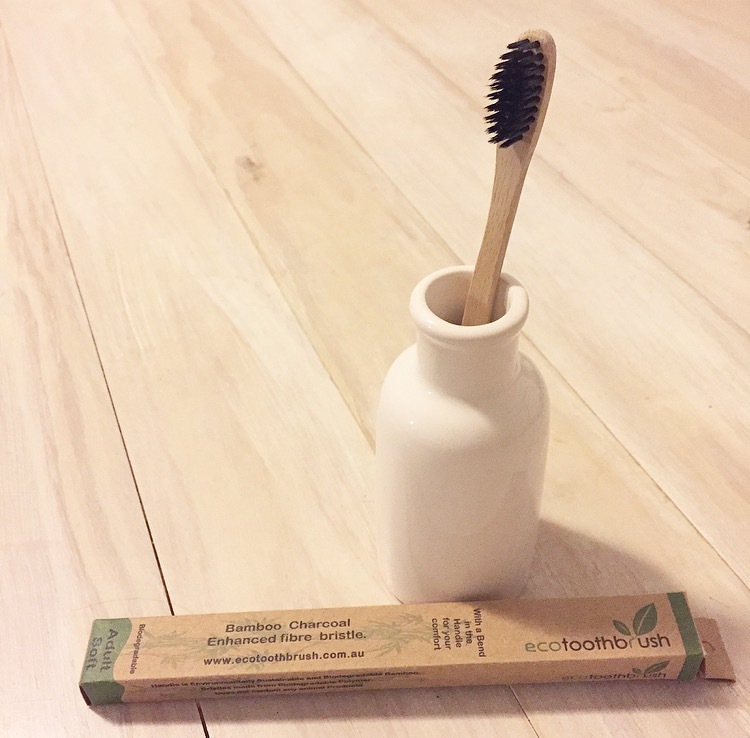 Plus, its casing is made from recycled aluminum and the bristles are cruelty free. I think about the after-life of things like candles - can I reuse the jar they came in, or donate to my candle-making friends to be refilled? The same goes for empty jars and containers, gift wrapping (more on that later), packaging and bags. Are they good enough to use again? I've rejected plastic toothbrushes and switched to a bamboo one from Wray Organic. It cost me $3.25, it's soft, compostable and works just as well. Plus, he's cute! I'm also collecting used dental waste (left-over plastic toothbrushes, empty toothpaste tubes and floss containers) and sending them to recycling superheroes TerraCycle. Check out some of the great programs they have around Australia (and the world) to combat the traditionally non-recyclable. There are plenty of natural bars, cakes and balls out there that can be bought naked. As long as you've got a little soap dish, you're set! Some of my faves are by NSW-based Archon Designs and the Est extra virgin olive oil soap balls I pick up from Biome. Both smell gorgeous and have no nasties. I'm jumping on the bulk food bandwagon, shopping from tubs and bins as much as I can. This hasn't been a hard change to make as it allows me to get as much or as little as I need, and most bulk food stores have a huge range - even for the perpetual snack-er like me! Bulk food shopping is so much fun! My recent visit to The Source at The Stores in Brisbane's West End. You can even get things like dish washing powder, olive oil and (the essential) chocolate. I have started taking my own containers when I stock up too, which is totally welcome at bulk food places. 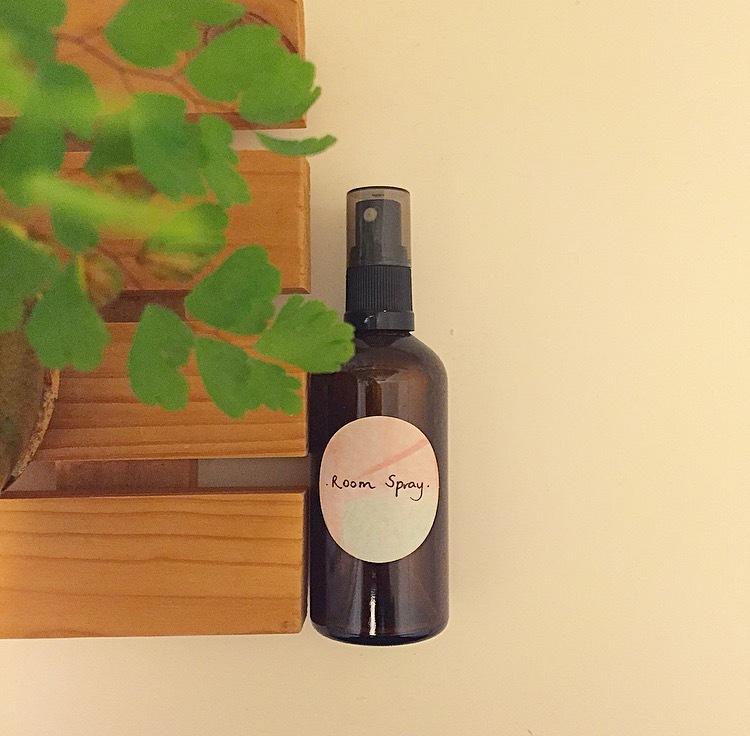 I tried my hand at DIY room spray - which turns out to be a great bathroom freshener too. This baby is literally just distilled water (I did this myself too), lavender and peppermint essential oils. I spray it on my sheets, towels, couches, in the bathroom, anywhere really. I bought the glass bottles on ebay and have made up some sprays with my own labels as gifts. DIY simple room spray - and reusable glass bottle. This is a habit that stuck around from my childhood. I love to make people gifts and cards instead of buying things. I re-gift gently-used wrapping paper, ribbons, packaging and boxes, and have a stash of cardboard and paper for card making that I picked up at a wonderful joint in Brisbane called Reverse Garbage. My DIY coin wallet for a gift, made using leather off-cuts. These guys also supplied the leather off-cuts I used to stitch up a little coin wallet for a gift (one of my first sewing machine projects!). I've also made a couple of drawstring bags that can be used for virtually anything. Super cute and satisfying too. You don't need to consider yourself creative - or stingy! - to make changes like these. Saving money is often just an added benefit of shopping sustainably and consciously. You end up with more for less as you get extra life out of the one thing. 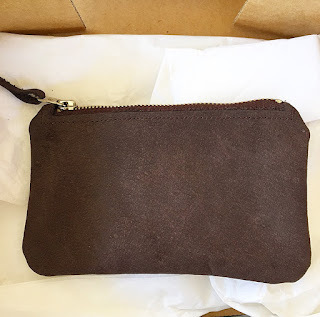 As always, my aim is to show that sustainable choices can be stylish and functional too.